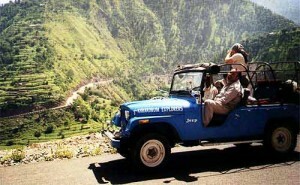 Going on a Jeep adventure? There are certain things that are important to remember to bring with you for your trip and depending on the nature of your trip some things are essential and others no so much. 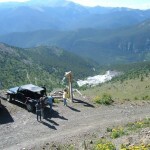 When planning for your Jeep adventure you need to remember that it pays to be prepared. There are several items that you will want to bring that you might not use but it is important to still bring them. 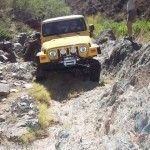 For a successful and fun time you need to ensure that your Jeep is up to the challenge. Before you set off visually inspect the vehicle for any signs of damage to the axels, shocks and frame. Inspect your oil and fluid levels and top-off any as needed. If your Jeep isn’t equipped with a fire extinguisher get one immediately. For extended overnight or camping adventures bring extra water for the radiator and gas in a reserve can. Ensure you can keep rolling with a spare tire, tire jack and shovel if you get stuck. Don’t forget to bring plenty of music to play. Now that we have everything to make sure you can travel safely and comfortably it’s time to figure out what you and your fellow campers need for your Jeep adventure. You will need a sleeping bag, perhaps a tent, food and water. Everything else is just a creature comfort. I like to bring a portable propane stove, but firewood and a cast iron pan work just as well. You’ll probably want to bring some kitchen ware, utensils, plates, pans and the like. If you have any meats, cheeses or beverages you need to keep cool you’ll want to bring an ice chest. The one thing many people forget to bring is a basic medical kit. Accidents do happen and it’s important to be prepared for when they do. For under $10 you can get a medical kit from any camping outfitters store and be prepared for any minor injuries that might happen. The other thing many forget is a few garbage bags. It’s important to bring any trash you make back with you. So your truck is ready, you’ve got everything you need and it’s time to get on the road for your Jeep adventure camping trip and you can’t wait. Soon you’ll be in the back-country navigating rocks and streams and you are excited as well you should be. Happy trails! 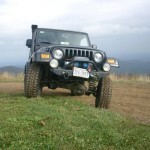 If you own a Jeep and have never been on a Jeep trek you are missing out! 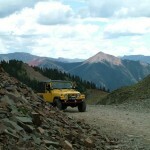 For those of us who have already experience the exhilaration of off-road adventure there is nothing we would rather do. 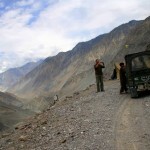 A Jeep trek can be as sort as a few hours or as long as several days, it’s up to you! As a kid my family would have a summer tradition of camping at a lake a few towns over and as my dad fished my brothers and I would ride around on our 50cc dirt bikes. As a teenager I was introduced to my first Jeep and it was love at first site. The power, control and freedom it gave me was insurmountable. I had the Jeep for only about two weeks before I managed to get it stuck at a local mud hole and while I waited for a friend to get their truck to pull my Jeep out I had a sort of epiphany: what if I combined the thrill of four-wheeling with tradition of camping? From then on I have been going on Jeep adventures ever since. My first Jeep trek was an overnighter in the Nevada desert. Just me, two buddies, our camping gear and my faithful dog Buck. We drove out from the main highway onto the desert and headed east. We navigated the rough terrain like experts thank in no small part to my faithful Jeep and eventually settled on a spot to set up camp. Over a meal of hotdogs, beans and beer my friends and I talked about how the Jeep had enhanced the camping experience to a measure they never thought existed. We had traveled about 80 miles into the desert and were in the middle of nowhere and as we laid down ready to sleep, listening the coyotes howl, we all were anxious for the new day to start so we could continue our Jeep adventure.